Google Play Music has been pretty great at making music recommendations ever since it bought Songza, but it’s been lacking in one area: New music. Today’s update hopes to change that. The station uses machine learning to select singles and album releases from the past two weeks based on your listening history and musical preferences. It’s a really quick way to check out all-new music that’s tailored just for you. It’s a shot across the bow to Spotify, which made waves with its Discover Weekly playlist feature last year. It’s a bit of a copycat move, but I can’t complain about better music recommendations. 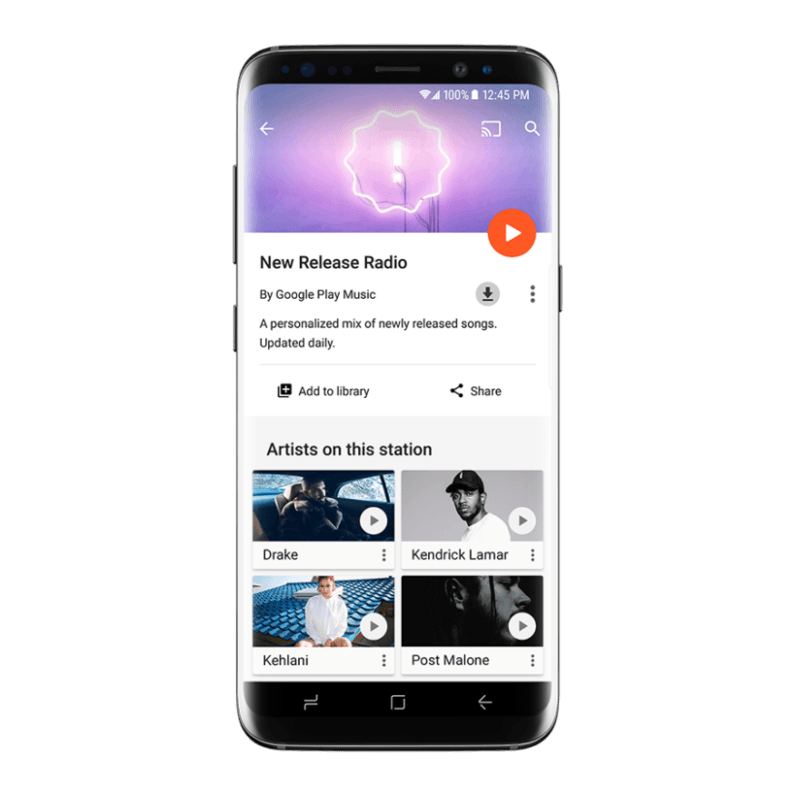 The feature was first previewed with Samsung users a while back, but it’s just now hitting the masses. It’s available for free users as well as paying subscribers.